The world is a scary place sometimes, but we can all take solace in the fact that the forces of good have come together and made this happen: The Garbage Pail Kids Movie has just been released on Blu-ray, with all manner of special features befitting its “Collector’s Edition” status. 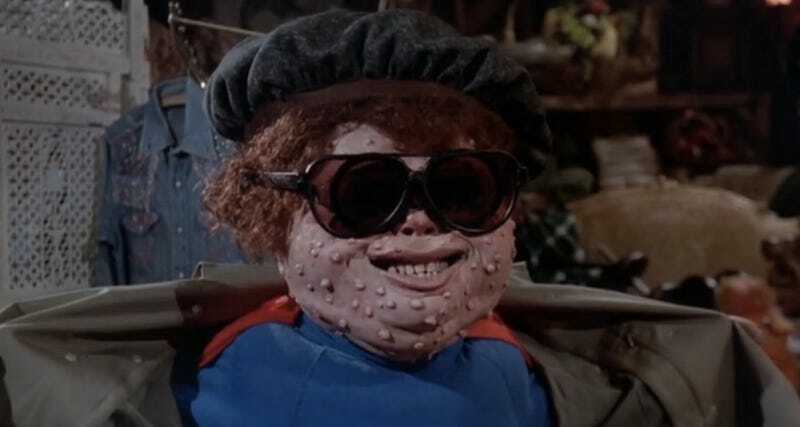 Though it was released in 1987 to audience indifference and critical disgust, the sparkling treatment of this new release cements The Garbage Pail Kids Movie (tagline: “It doesn’t get any grosser than this!”) as a genuine cult classic. The holiday are upon us, so you know what to do: give the gift a horrified New York Times deemed in 1987 “enough to make you believe in strict and faraway boarding schools.” Or even better, buy it for yourself.